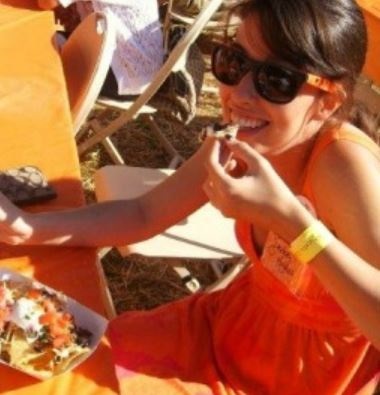 Every year across the nation, several Pi Beta Phi sorority chapters host all-you-can-eat “Pi Phiesta” taco bar fundraisers at their respective campuses to raise money for charity. 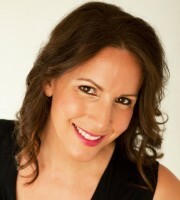 But that longstanding tradition, typically held around Cinco de Mayo, is in jeopardy. The Dartmouth situation created national headlines, while the quick switcheroo at Stanford took place much more quietly. 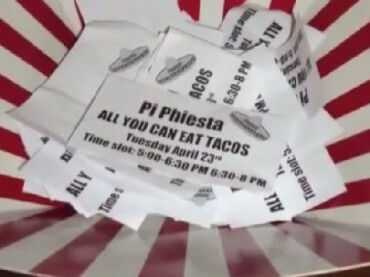 Nevertheless, the future of “Pi Phiesta” fundraisers across the nation hang in the balance as the charitable tradition faces increased scrutiny from the politically correct campus police. C’mon – how long before the directive comes down from the Pi Beta Phi national headquarters with an “ixnay on the iestaphey.” They don’t want or need the bad press or flack on campuses, and will probably figure: Why bother? The real losers, however, are the nonprofit efforts these events help support; all-you-can-eat taco bars get lots of warm bodies through the doors. These particular sorority charity events are hardly offensive, and if anything – they celebrate and honor Mexican heritage. 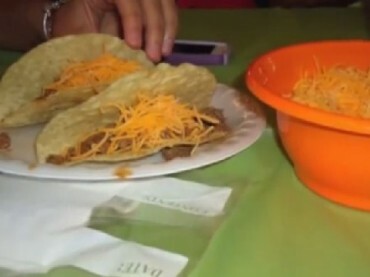 A YouTube video of a “Pi Phiesta” taco night last year shows a bunch of students stuffing their faces with tacos, smiling, and raising a wad of cash for literacy causes. In the pictures on various Pi Beta Phi websites, one might see an occasional sombrero-donned student or some maracas among the bright yellow-orange decorations and neon-colored T-Shirts; hardly offensive. The fact that this is for charity and done without malicious intent is apparently of no consequence to the handful of aggrieved militant Latino students on campuses with a machete to grind. If that’s the case, maybe piñatas should be outlawed across America – because who cares about the glee those little twerps experience when they have candy rain down on them like Niagara Falls? They’re appropriating Mexican culture for their own joy, and for shame. In the same vein, that 21-year-old female student who throws on a sombrero and serves up tacos to raise money to help an inner-city child learn how to read should be told what an insensitive twit she is. PUT THE TACO DOWN, NOW! Oh, the plight of the Latino college student. They face so much bigotry. This whole white-people-who-celebrate-Cinco-de-Mayo-are-a-bunch-of-ignorant-and-offensive-buffoons movement is absolutely ridiculous and completely out of control. A sign at UCLA this month offered students a guide to a “racist-free Cinco de Mayo,” advice that included warning students not to speak their shoddy high school Spanish on the day. And circling back to Stanford, more sombrero-wearing dining staff raised angst. It’s just the latest in an established trend on campuses. The irony of this whole situation is – Latino students should be careful for what they wish for, because they just might get it. They’re whitewashing their own observance.